Most people who have it develop it during adolescence, but it can start even younger. They also may have other compulsive habits, such as nail biting or skin picking. Some also have problems with depression, anxiety, or obsessive-compulsive disorder (OCD). I think that it is always a good reminder that when we read a health diagnosis medical term, that is a medical label that doesn’t originate from the ’cause’ of what brought this about. A label of what is wrong with you is needed by the medical profession to know what in terms of their training knowledge tells them how to treat this disorder. Whether it be to put you on medication or send you to see a psychologist, counsellor or both, i.e. medication and psychological help. I am a believer that if you release the ’cause’, you also release the habit that you have created to cope with that. This is just one such ’cause’ that was given the label of ‘Trichotillomania’. 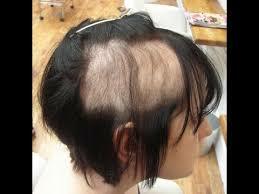 CLIENT CASE – In this client case, my client pulled her hair out of her front of her head that sent her bald. She also wanted to stop picking at her skin. At 4 years old, a younger brother who was 10 months old died in a house fire. Both Anna and her mother collapsed because of smoke inhalation. She felt she was too young to feel that it had a big impact on her. Anna moved out of her father’s house and left school to support herself. She moved in with her boyfriend. There is a lot more drama to this story, as Anna put it; “I have had drama in my life from the get-go, even to this day, my family, siblings, and mum (not my clients own husband or kids) have so much going on, I can’t cope with it and try and block it out. We did a hand lifting technique using the mind in hypnosis and established a ‘Yes – No’ ideomotor finger response. I asked the subconscious to regress to the very first time she started pulling her hair. It took her back to the age of 12. She recounted that she was looking into the mirror and suddenly realised that she looked just like her father. She said that she felt so fearful that she would grow up to become like him, that she started pulling every black hair out of her head (she left the lighter colour hair alone). Using questions, i.e. “Do you beat your husband up?” “Do you beat your children up?” – “Does that tell you that you are like your father?” Obviously, the answers I got were “No”. Therefore, my next question was; “Do you think that it is the time that we removed those feelings that you had when you were so young?” The answer was “Yes”. We used AcuTapping (EFT) within the hypnotherapy trance state, with provocative therapy to release all the past feelings, as well as the fear of becoming like her father. Just because there is no Scientific Evidence Based Research for some issues being dealt with in hypnotherapy, that doesn’t mean it can’t help resolve a particular issue. However, like with all things, check out your practitioner for their training and ability to help you, and your health practitioner to check there is no valid reason that you should not undergo this therapy. A Russian Scientific research has shown that your DNA can be reprogrammed by words and frequencies in a deeply relaxed state. That is why hypnotherapy will be able to assist you to make changes more easily.